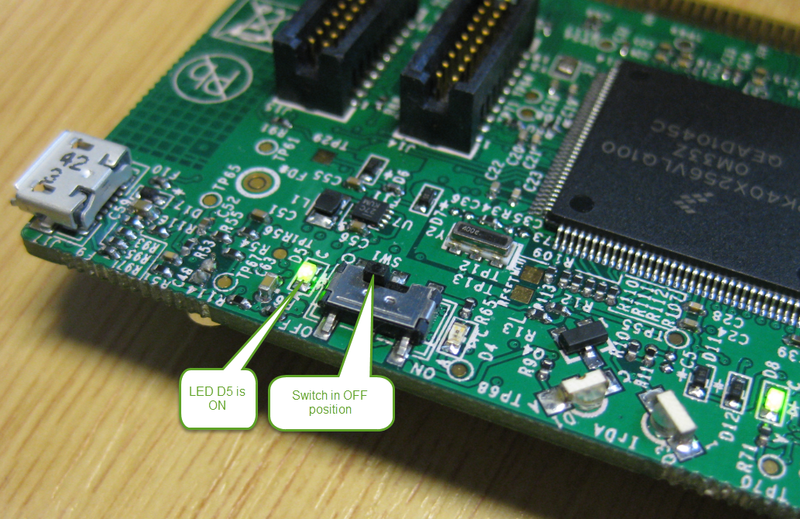 I have stopped using the KwikStik board because the Kinetis K40 on it had several silicon issues making the board difficult to use, and there were several different version/schematics of that board creating much confusion. So I had shelved these KwikStik boards and use the better Freescale Freedom boards instead. But now I have found a way so they can be still useful: as a Segger J-Link to debug my external boards :-). 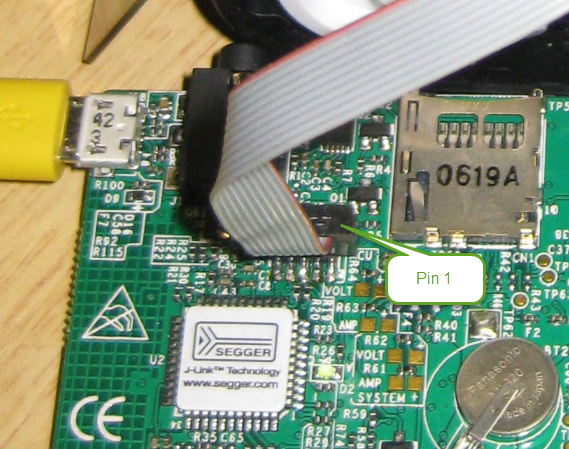 Connect a 10pin SWD cable to the target board. Make sure that the cable is matching pin 1. 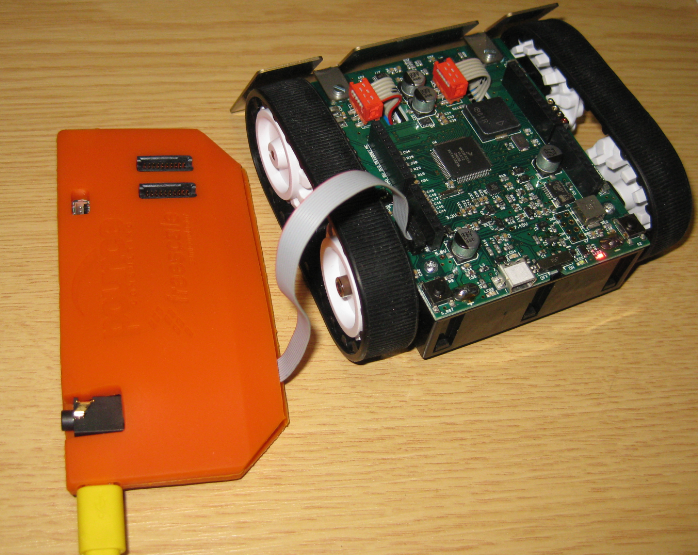 Plug the KwikStik board to the host PC. Use the USB port near the audio connector. 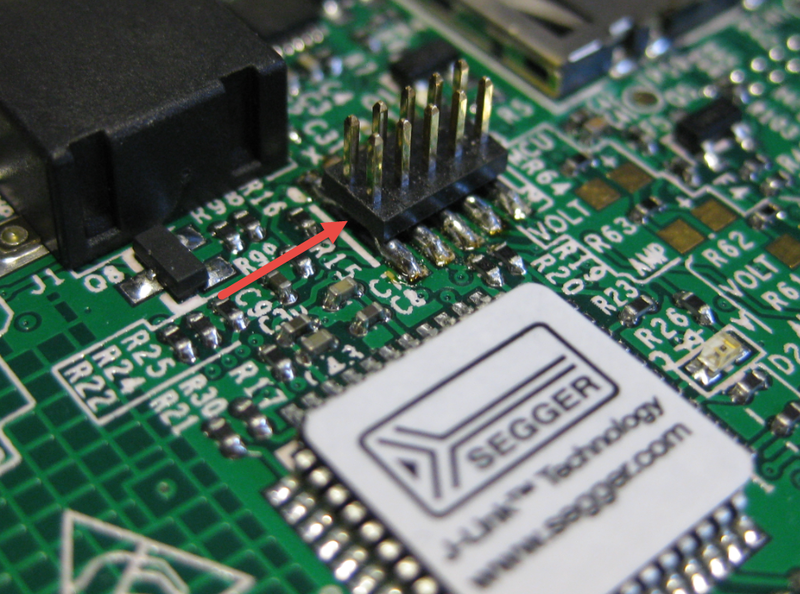 If necessary, this will automatically install the Segger J-Link drivers on the host (assuming the Segger J-Link software is already installed on the host). 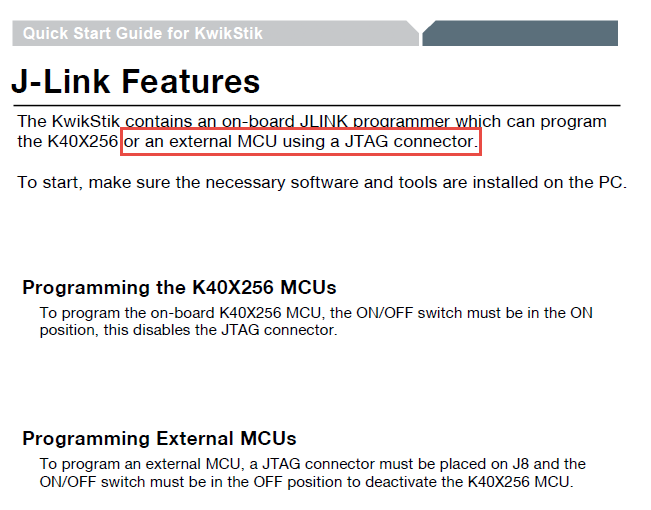 At the first time connecting to the board, it might update the J-Link firmware. In my case I had to unplug and replug/repower the board at the end of the update process. The ‘normal’ Segger J-Links are more powerful and faster, but as an emergency and quick debugging probe, the KwikStik boards can have a purpose now :-). I recommend using a normal J-Link, so I will order another one next week. The above thing is only a temporary solution: it is not as fast (the KwikStik uses a JM128 as debug processor), not very robust with all the cables and not protected electrically as good as the normal J-Link. But at least the above hack saved me two hours of work itineray ;-). This entry was posted in ARM, Boards, CPU's, Debugging, Embedded, Freescale, Tips & Tricks and tagged Debugging, Eclipse, Freescale, Segger, Tips&Tricks by Erich Styger. Bookmark the permalink. I suggest to get a J-Link EDU instead. Probably does not cost more that the KwikStik K40 Board. Or a full J-Link if used commercially. allowing faster transfer speeds and smaller target buffers. My problem was that I did not had the Segger J-Link EDU with me, so that saved me a two hour work itinery. And you are right: the J-Link EDU or the full one is much better, faster and more robust, and RTT was not as fast as it used to tbe with the J-Link. And thank you for your generous offer: it was really my fault: I will order an extra J-Link next week so I should be covered. wow, finally i found some one that is using this board. I remember when i was working on the design phase for this product. Greetings from Mexico. Yes, that board was very promising to me, until I run into several issues, so I had shelfed the boards. I have old KwikStik Ver.5 boards and wanted to use them with KDS3.0 (Ubuntu 14.04) and KSDK1.3. The generated code uses RCM and MCG->C7 which don’t exist on early silicon (0M33Z). The generated code with MQX runs nice.